Of course there are multiple cupcake events happening on the weekend I will be out of town. --sigh-- But that's ok because I will be cheering on my husband at the hardest race of his life (more details to come in a few days). 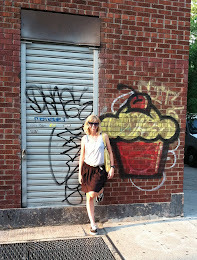 Cupcake Camps are popping up everywhere! 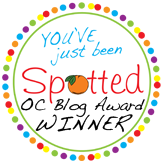 The OC version took place in August and I recently attended the one in the Inland Empire. 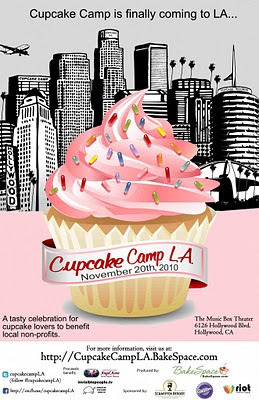 So it only makes sense that there would be a Cupcake Camp in LA soon. Well, it's this Saturday at The Music Room in Hollywood from 12p-5p. Tickets are $15 each, which entitles you to 5 tastings (cupcakes). Proceeds will benefit Angel Acres Horse Haven Rescue, InvisiblePeople.tv, and American Tortoise Rescue. You can buy tickets here. After you check out the cupcakes at Cupcake Camp LA, you can cruise down to Fountain Valley to attend Eat.Drink.Pink!, a dessert competition that highlights local caterers, bakeries, and restaurants. 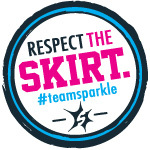 This charity event will be completely PINK to bring more awareness to Breast Cancer Research. 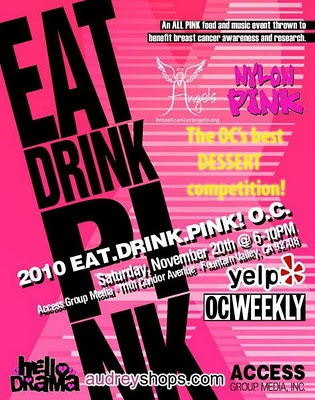 For $10, you can receive full tasting and voting privileges to help determine the best PINK-themed treat. The event takes place at Access Group Media in Fountain Valley from 6p-10p. You can buy tickets here. Have a fun weekend and eat lots of cupcakes!